Notes: In some timetables the station was listed as March Junction. Most of the farmers' lines in the Fens were light in construction and late in completion but one line defied this pattern, the Wisbech, St Ives & Cambridge Junction Railway whose Bill passed through Parliament in 1846; the line was quickly built in an almost straight line across the Fens, opening from March to Wisbech on 3 May 1847. The southern section from Cambridge to St. Ives opened on 17th August 1847 with the middle section from St Ives to March opening on 1st March 1848. The independent company was incorporated into the Eastern Counties Railway in 1848 before completion of the St. Ives - March section and later taken over by Great Eastern Railway in 1862. 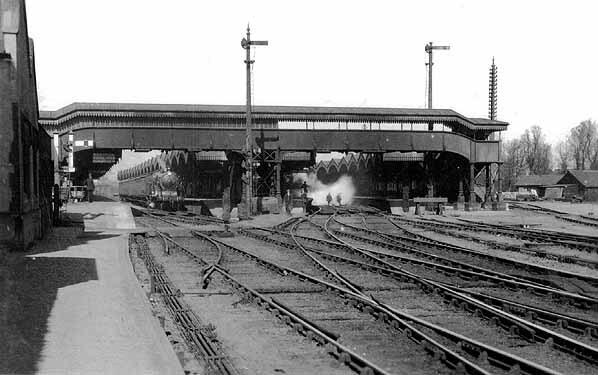 The GER were frustrated when Parliament aurhorised a line from March to Spalding which opened on 1st April 1867. The line had originally been conceived by the GER but approval was authorized instead to the rival Great Northern Railway. Many years of quarrelling were finally resolved on 3rd July 1879 when the Spalding line and the March to St. Ives section of the Cambridge to Wisbech line was vested in the GN&GE Joint Railway. As a means of avoiding Ely, which at that period was greatly congested with traffic from six directions, the March, St Ives to Cambridge route had much to recommend it. Local traffic was largely agricultural but with the opening of the Doncaster to March line the route was busy with coal trains running from the East Midlands towards east London, these were lengthy and slow-moving but immensely profitable to the GER. 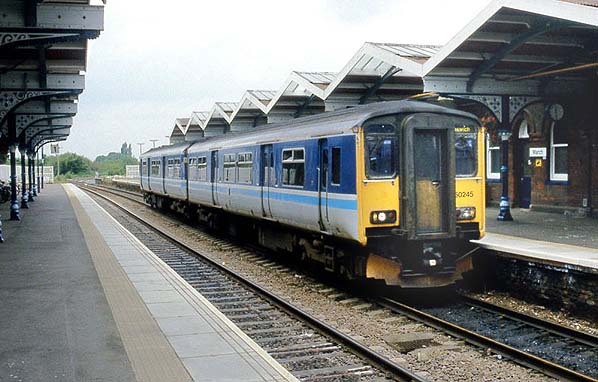 Passenger traffic was always light however, as only market towns and villages were served and there were few through trains with expresses usually using the Ely line with Ely becoming the main GER interchange station in northern East Anglia. Somersham was the only junction station between St Ives and March with the branch line to Ramsey High Street (later Ramsey East) opening on 16th September 1889. The Cambridge to March line proved reasonably popular through the first half of the 20th century but with the post war popularity of the motor car, passenger numbers began dropping through the 1950's. Despite the demise of passenger and freight traffic the line became an important diversionary route. The Flying Scotsman, the Aberdonian and the Night Capital Express have all used the line and it was also used as a trial line for new railway technology such as concrete sleepers, continuous welded rail, multiple aspect signaling (traffic light style) and for experimental rolling stock during the changeover from steam to diesel. In the 1960's eighty trains a day were timetabled. The last working steam train passed in 1963 and as passenger traffic fell, the coal freight from the north ceased with the enforcement of the Clean Air Act. 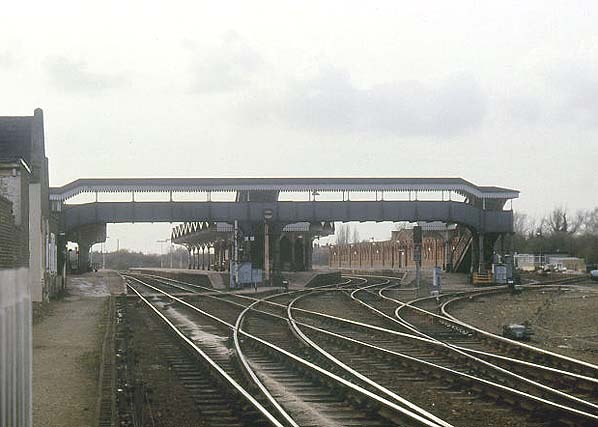 The line from St. Ives – March closed to goods traffic in 1966 and to passengers on 6th March 1967 but the service from St. Ives to Cambridge survived the Beeching Axe despite the stations (except Histon) being sited some distance from the community they served. The passenger service between Cambridge and St. Ives survived until 5th October 1970. The freight service remained open as far as Histon for seasonal deliveries of fruit to Chivers which ceased in 1983 and a second service as far as Fen Drayton was retained until 1992 because of a long term contract with the Amalgamated Road Stone Corporation of St. Ives for aggregates. In the 1970's, the train made a return trip there every work day though this had declined to once a week by the late 1980's. In the late 1990s the Government launched the Cambridge to Huntingdon Multi-Modal Study (CHUMMS), chiefly to address the chronic local traffic congestion. One of the proposals was for a guided busway along most of the Cambridge - St. Ives route. Despite local opposition to the busway and a campaign to reopen the line between Cambridge and St. Ives construction started in 2007 with most of the remaining track being lifted. At the time of writing (9.2007) the track from Fen Drayton through Swavesey Station has not been lifted and no construction work has started. The busway is due to open in spring 2009. ISBN 1 835306 040 2 & Forgotten Railways Volume 7 - East Anglia by R S Joby - David & Charles 1985 ISBN 0 7153 7312 9. Ticket from Brian Halford.